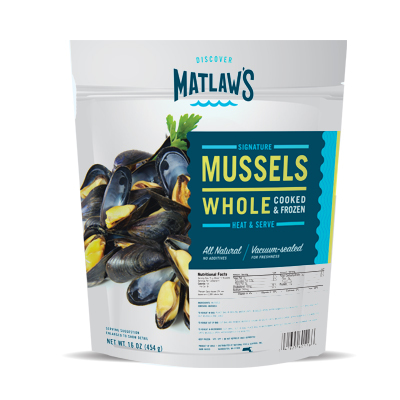 Matlaw's selects only whole, plump, succulent mussels and steams them to perfection so you can enjoy them any time — without the fuss of cleaning and cooking them yourself. Just heat and dig right in. 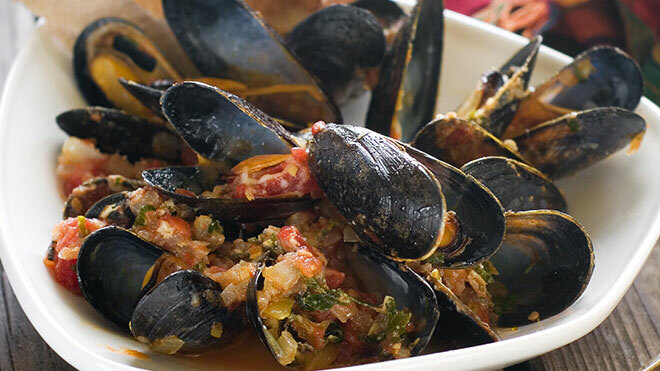 To reheat in bag: Place bag in boiling water until mussEls open, approximately 5-6 minutes. Cut bag and put out mussels and juice. To reheat out of bag: Cut bag and remove mussels. Steam or saute until mussels open, approximately 5-6 minutes. To reheat in microwave: Cut small slit in bag. Place bag in microwave with slit facing up. Microwave on high until mussels open, approximately 5-6 minutes.